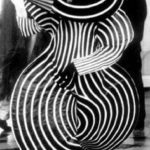 Posted byNiveditha Warrier January 5, 2017 January 5, 2017 Leave a comment on The amazing costume parties of Bauhaus that shouldn’t be missed! 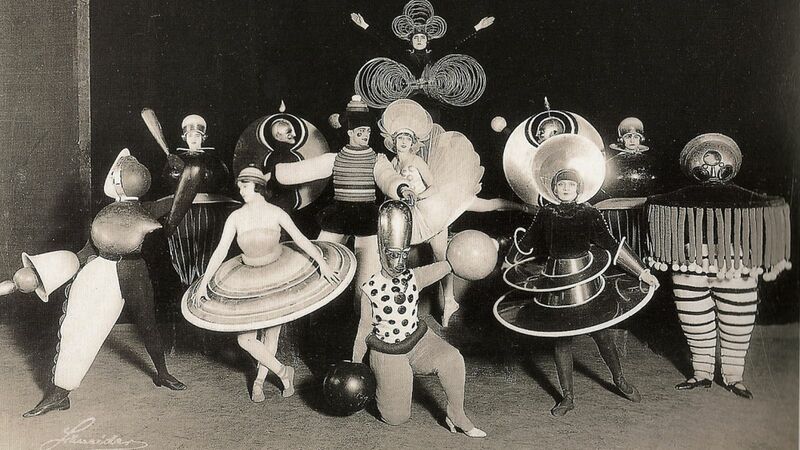 The Bauhaus was founded in 1919 in the city of Weimar by German architect Walter Gropius (1883–1969). 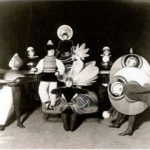 Its core objective was a radical concept: to reimagine the material world to reflect the unity of all the arts. 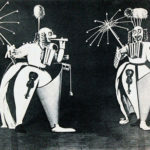 The preliminary course in this school was often taught by visual artists, including Paul Klee (1987.455.16), Vasily Kandinsky (1866–1944), and Josef Albers (59.160), among others. 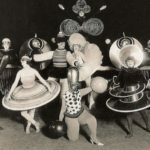 What may be overlooked is the fact that the rigorous design school, founded by modernism’s grandsire Walter Gropius, also put on marvelous costume parties back in the 1930s. 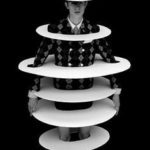 If you thought Bauhaus folk were good at designing coffee tables, just have a look at their costumes—as bewitching and sculptural as any other student project, but with an amazing flamboyance not oft ascribed to the movement. 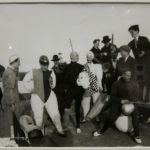 Sadly, there are not many surviving photographs of the costumed shindigs thrown at the school, which was founded by the revered German architect Walter Adolph Georg Gropius. 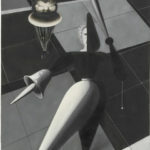 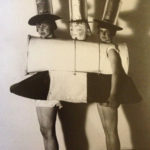 It has been said that attendees of the costume parties took the preparation of their costumes as seriously as their studies at the school and the results were a spellbinding array of imagery created by the upper crust vanguard that made up Bauhaus’ academic population. 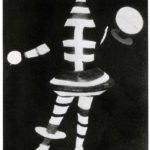 It may come as no surprise then that the Triadic Ballet influenced some of the hyper-stylized alien costuming of David Bowie’s Ziggy Stardust tour. 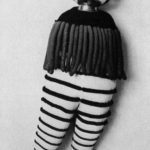 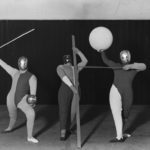 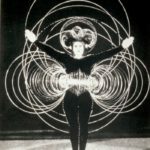 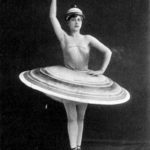 Perhaps even more than the photographs of revelers from the costume parties, the Triadic Ballet, which has been periodically revived since its 1922 debut, preserves the fascinating innovations Bauhaus artists envisioned for the human form.